Time to move is coming! Are you a young European between 13 and 30 years old? Would you like to travel? Is it your time to move? 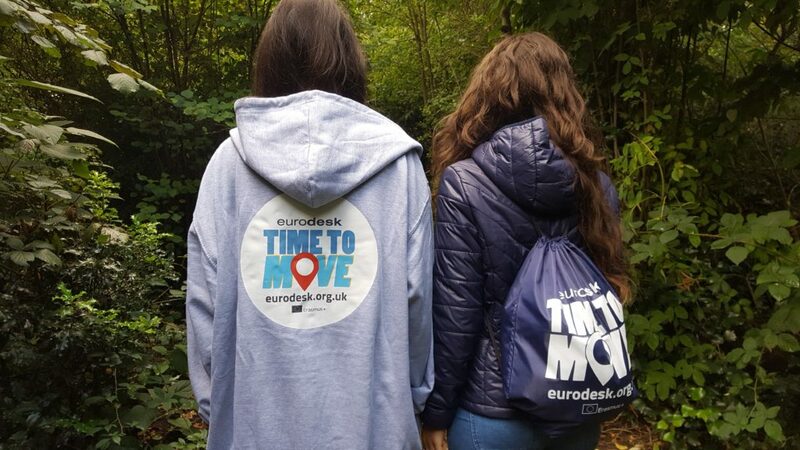 This October Eurodesk runs the ”Time to Move” campaign, a collection of events for young people organised all over Europe. The events, organised by Eurodesk’s Ambassadors, provide young people with a forum for discussions and open questions on their international plans and projects. You’ll talk to experts ready to help you find the international project most suitable for your needs. The campaign has its own website www.timetomove.info and you can find a range of events and opportunities through which you can go abroad and take part in an international project, explore Europe or gain experience for your future. As part of the Time to Move campaign, Eurodesk also invites all young Europeans to participate at the “Time to Move T-Shirt Design Competition”. You need to design the official Time to Move T-shirt for 2018 and you can have a chance to win one of the four prizes. The competition was launched to encourage young people from 34 Eurodesk’s countries to express their wish to travel by designing a T-shirt that is somehow linked to their experience around Europe. The competition has already started and will end on the 31 of October 2017 (12:00 CET). So join the competition! To participate you just need to upload your own design on the Facebook page of the contest. Public voting winner – Fjällräven backpack. Check our page for more information!